The games promise to be fast moving exciting battles between Heroes, Military and Civilian teams. 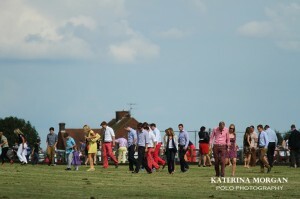 Each game will consist of four Chukkas and a chance for that “Pretty Woman” moment at half time for divot treading! 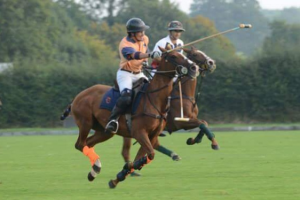 To learn more about the game of Polo check out our Polo section. I served for over 25 years in the Army including tours of Bosnia, Kosovo and Iraq. In March 2011 I was involved in a motorbike accident which resulted in back injuries and having my left leg amputated below the knee and was medically discharged at the end of 2012. Through taking part in activities such as skiing and canoeing organised through Battle Back I have returned to an active life. A keen rider prior to joining the Army, I had not ridden for 15 years until, post-injury, I had the opportunity to join Battle Back for a week long riding course and then learning to play polo with Coolhooves Polo from August 2013. I really enjoy the challenge of being back participating in competitive sport without feeling restricted by my injuries. I have been serving with the Household Cavalry since 2004 and am due to be medically discharged once my medical treatment is finished, I was injured in an IED explosion in Afghanistan with severe fractures to my legs, pelvis and spine. I have been playing polo with Coolhooves since August last year and was my first time post injury being back on a horse, I did miss riding especially after spending 2 years on ceremonial duties in London and wondered if I could still do it again and since my first lesson I have not looked back especially when the horse does most of the work and can make any rider look good. I served in the Life Guards from 2007 to 2012. During a tour of Afghanistan in 2009-10, I sustained serious spinal injuries during a high speed pursuit of an insurgent vehicle, resulting in loss of motor control and muscle strength in my lower body. Following operations in Queen Elizabeth and Selly Oak hospitals in Birmingham, I had two years of intensive rehabilitation at Headley Court, during which I relearnt how to walk. I had been due to perform mounted ceremonial duties on return from Afghanistan. 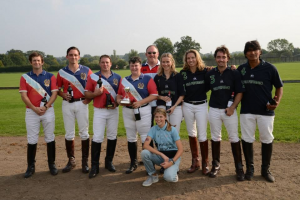 During my rehabilitation I attended a riding for the disabled course at the Royal Military Academy Sandhurst through Help for Heroes, and in January 2014 I started learning polo, playing in the worlds’ first ever para-polo match, the Heroes Cup, in June. After injuring both knees and spine Rebecca was discharged in 2014 after 14 years service having seen active service in Northern Ireland, Iraq and Afghanistan. Rebecca served with the Household Division as a Lance Sergeant based in London. She is the only women to have delivered Her Majesty’s prepared horse onto Horse Guards on the morning of the Queens Birthday parade. Rebecca regularly represented her Corps in Hockey and Show jumping and was taught Polo at Tidworth Polo Club early in her career. Injury has not prevented Rebecca from participating in a sport she loves “I cannot emphasise enough how great it is to be part of a team again and enjoy the camaraderie and sportsmanship of the Armed Forces. I hope you enjoy the day, we certainly will”. Ange served for 13 years in the Royal Navy as an Intelligence Officer, deploying on numerous operations throughout the world and completing tours of both Iraq and Afghanistan. Following a number of injuries incurred whilst on operational duty, she was medically discharged in 2012. A keen rider for most of her life, she competed in eventing and played a season of polo prior to her discharge. Post-injury, she has converted to dressage with her own horses and taken up polo again, much to her delight and with huge gratitude to those who have made it possible. Polo gives Ange the competitive, high-adreneline rush that she got from eventing but hopefully without the falling off! I joined the Army reserves whilst reading Medicine at the University of St Andrews in 2008 and remained with the reserves until my final year of study when I decided to undertake a full time military career in medicine and join the regular army as a doctor. It was also at this point in time that I was injured while providing first aid to a civilian who was involved in a road traffic accident. I sustained multiple life and limb threatening injuries which have left me with severe nerve damage, mainly affecting my right leg which is paralysed and lacks any sensation, this means I have lost my ability to balance while standing and walking and I therefore need crutches in order to stand and move. I am now a junior doctor working in London.